General duty gloves are used for soldering, metal work, and bronze casting and will withstand temperatures up to 450ºF (232ºC). 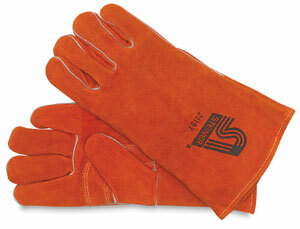 These gloves feature a full-cotton lining with foam back, wing thumb, and a one-piece back. They are partially sewn with Kevlar® thread which is, by weight, stronger than steel. They are sold per pair.